Political divide in Afghanistan has come to overshadow the two-day talks which are to be hosted by Russia in its capital Moscow and are scheduled to take place on February 5th and 6th, as state and non-state bodies in Afghanistan go head to head over the Moscow conference. The Afghan Presidential Palace, as well as the High Peace Council (HPC), the Afghan body which, until recently was delegated with peace negotiations, have said that they are not participating in the talks with HPC stating that the agency has not been invited to attend the talks. This is while several Afghan leaders and key former government officials including former President Karzai and presidential candidate Haneef Atmar-the latter of whom was the head of President Ashraf Ghani’s National Security Council few months ago-are participating in the talks. President Ghani’s chief advisor, Fazel Fazly on Twitter blamed the Afghan leaders for partaking in the talks. He said the leaders will go to the extent of destroying the democratic system and values they were responsible to build in the first place just because they are out of the circle of power. The talks are to take place while the Russian Embassy in Afghanistan rejected hosting a second round of meeting between the Taliban and Afghan influential officials and said the talks are taking place in an “unofficial format,” which has been initiated and organized by an Afghan community in Moscow under the name of the “Intra-Afghan Dialogue”. At the same time Taliban spokesperson for the militant’s political office in Qatar, Sohail Shaheen, confirmed to a German news agency on Friday that representatives of the group from the political office will take part in the talks. 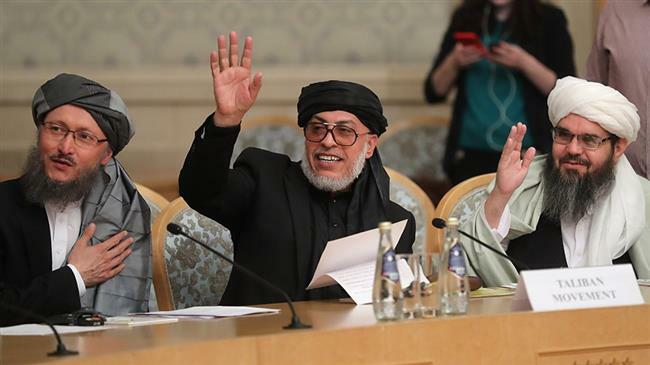 In the first round of official talks hosted by Moscow in the beginning of November 2018, Taliban representatives refused to meet representatives of the High Peace Council. This is while the US efforts for peace and ending the war in Afghanistan, led by Afghan-born Zalmay Khalilzad, the Special Representative for Afghanistan Reconciliation, has, seen “significant progress”. In the last round of talks held in Qatari capital Doha for six days of marathon negotiation, representatives of Taliban and the US discussed two key issues, the full withdrawal of foreign forces led by the US and a guarantee from the Taliban that they will not allow terrorist networks such as Al-Qaeda to operate in Afghanistan against the interest of the United States. Although Khalilzad told President Ashraf Ghani that no agreement had taken place in Qatar, Taliban’s chief negotiator Abbass Stanakzai told a pro-Taliban website, Nunn Asia, that both sides had agreed on the issues and another round of talks will take place starting February 25th.